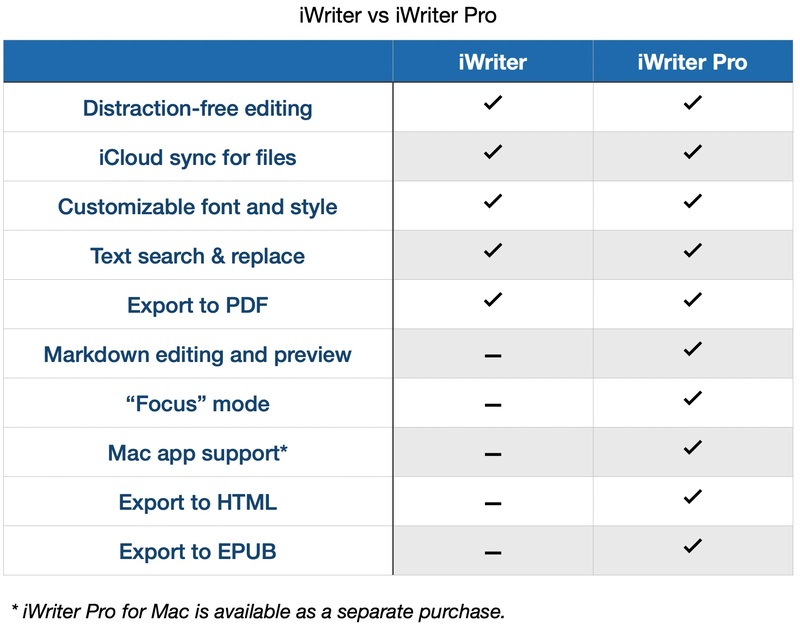 ✎ What is the difference between iWriter and iWriter Pro? The Pro-features, such as: Markdown editing and preview, text searching and many other. ✎ Where can I find Writedown? Writedown is removed from the App Store and no longer supported. Please use iWriter Pro instead. ✎ Does iWriter have an URL scheme? For now, x-callback-url schemes are not supported. ✎ How can I save my document? I can't find a save button. You should not care about document saving. All changes are saved automatically. - The Undo button on the keyboard (tap . ?123 or 123 then Undo). - iWriter’s Undo gesture — swipe from right to left with two fingers (Redo is from left to right). - Gently shake your device to reveal the Undo/Redo menu. ✎ Does iWriter support RTF? ✎ I open a file and see hieroglyphs. What's wrong? iWriter supports only plain text files in UTF-8 encoding. It seems that your file has different encoding type. ✎ Is there a Mac version? ✎ Can I get a refund? Sorry, but we can’t do refunds by ourselves. You have to contact Apple to get a refund. Sure! and we'll answer as best as we can. We'll extend this FAQ as new questions pop up.